Holidays is an annual winter holiday celebration for wuer, trans, and two-spirit seniors 55 and older. It’s a coming together for those in the LGBT+ community to recognize and nurture lifelong connections, form new friendships, and toast the year gone by. This is a catered event with light entertainment. 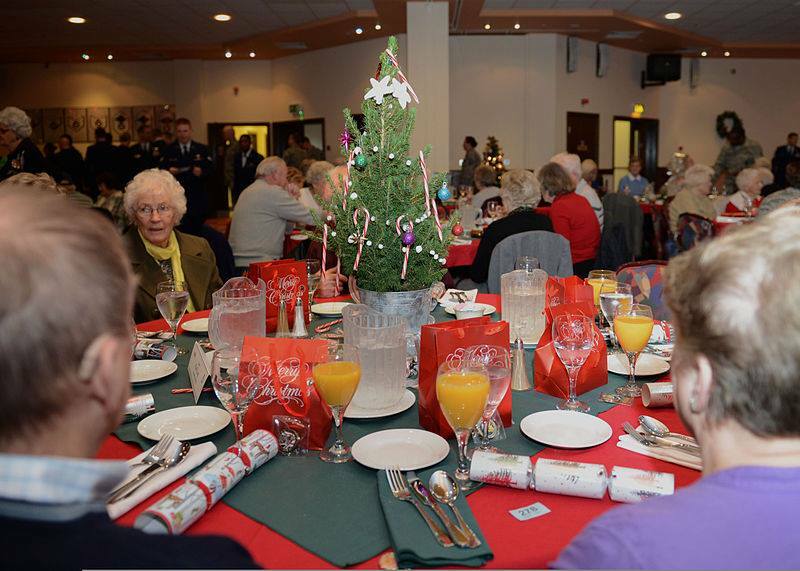 Enjoy Christmas dinner with all the trimmings, great prizes and fabulous live music. Join friends, old and new, to share in the holiday cheer. Get a holiday picture taken and we will print it for you to take home. This event is open to everyone 50+. No refunds after Dec 4. Eddy Elmer, a PhD student in social gerontology, will provide an overview of the causes and consequences of chronic loneliness and will discuss various coping strategies. Dec. 3: “A Man Called Ove” with Rolf Lassgard, Bahar Pars, and Filip Berg (1 hr 55 min). Dec. 24: “The Christmas Chronicles” with Kurt Russell, Darby Camp, and Judah Lewis (starts at 1 p.m. 1 hr 44 min). Dec. 21: “Mr. Bean’s Holiday” (2017) with Rowan Atkinson, Emma de Caunes, and Willem Dafoe. 1 hr 29 min. Dec. 28: “Bruce Almighty” (2003) with Jim Carrey, Morgan Freeman, and Jennifer Aniston. 1 hr 41 min. ’Tis the season for baking! gingerbread, shortbread, chocolate chip — what’s your specialty? Bring in a dozen of your best cookies, copies of your recipe, a tin, and exchange with others. And enjoy a hot chocolate by the fireplace as well. The monthly Seniors’ Community Planning Table is an opportunity for West End seniors, community organizations, and service providers to connect and share information and views on issues important to seniors in our community. Each month’s agenda features updates on community programs for seniors, including reports from Mole Hill Community Housing Society, Gordon Neighbourhood House, West End Seniors Network, and others. There will also be a keynote speaker and discussion on a topic currently of interest to West Enders. December’s question is “How Do You Meet New People?” and you can answer by writing your response on a sheet of paper located in the Fireside Room at Barclay Manor, or online here.